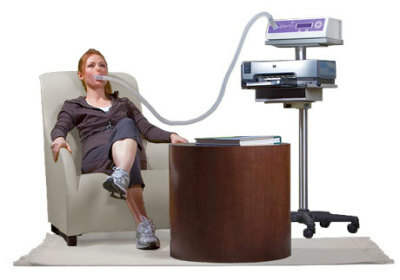 E3 Endurance uses the KORR metabolic cart to accurately determine one's Resting Metabolic Rate (RMR). Your body consumes a fixed amount of oxygen per calorie burned. Based on your oxygen consumption, the machine then figures the exact amount of calories you are burning. Why is this helpful or important? For athletes, it's important to know how many calories you need for better recovery. Our RMR results provide specific zones for weight maintenance and weight loss. Also, for individuals with thyroid issues and are taking thyroid medication, our RMR test results will show if metabolism is normal, high or low to help steer proper medical dosage.